One of my absolute favorite recipes is a cabbage, potato soup that is finished with a half cup of nutritional yeast, giving the soup a rich, beefy taste without the beef. Holy cats, it’s good. Even on the third night, I’m not sick of the leftovers. This is a preamble to my next burst of enlightenment. Recently, I was having tea with my friend Joan, and I was raving about the cabbage, potato soup with nutritional yeast. For a while, I didn’t say anything, blinking in astonishment as I thought of the wonders of a bouillon mix made with nutritional yeast and spices—delicious, nutritious, plant based, and frugal. Four of my favorite things. As soon as I came home, I hit the Internet and immediately found a terrific recipe on a blog called My Plant- Based Family. The veggie broth is easy to make and jazzes up even the simplest meal, such as ramen noodles with soy sauce and sesame oil. Mix one tablespoon of the broth with a cup of hot water and you have a tasty base that can be used in any soup that calls for chicken or veggie broth. Recently, I made a batch to give to my friend Beth, and Clif, who has a flair with graphic arts, made a nifty label to go on the jar. As it turned out, the label was so nifty that at first Beth didn’t realize the broth had come from our very own kitchen. Anyway, I can’t recommend this broth mix enough. Because I am not a fan of a strong onion taste, I don’t put as much onion powder as is suggested in the recipe. (I cut the amount in half.) But if onion is your thing, pile it in. And say adieu to those expensive boxes of veggie or chicken broth, which—let’s face it—don’t taste all that good. Unfortunately, in Maine, you must have a licensed commercial kitchen to sell food. And we don’t have one. Ah, welll! Sounds very tasty. 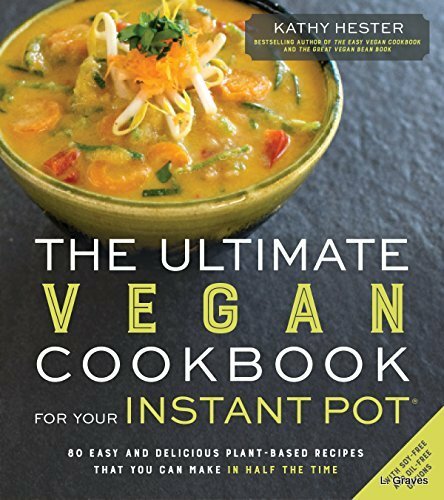 I’ll try that for our veggie recipes! Thanks! We have used nutritional yeast a bit. I must pay more attention to it. Cabbage and potato soup — now you’re talking! So good and good for you! 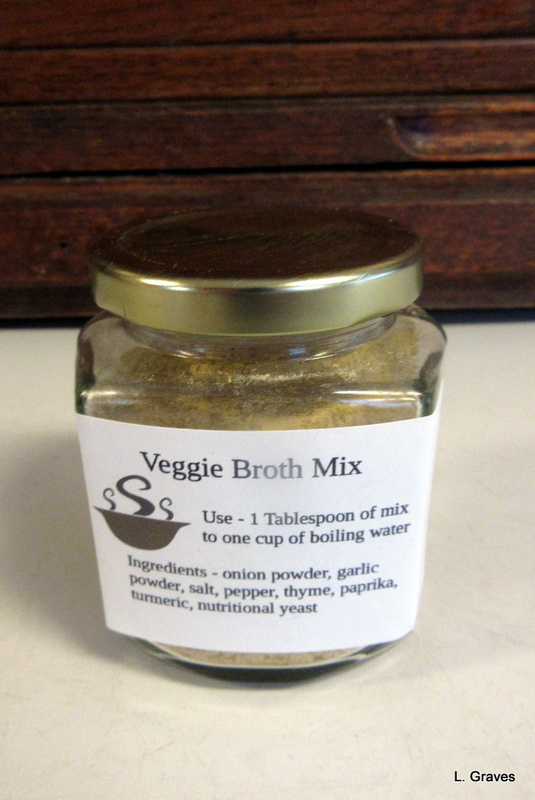 What a treat to be the first to try your broth mix. I haven’t had a chance to try it yet, but I am sure it will get rave reviews. Okay, I’m liking this idea. I pinned it and will give it a try. It seems a lot more natural than anything we could possibly buy at a store of any type. Thank you!! Delicious, natural, AND good for you. Doesn’t get much better. Love nutritional yeast, mostly on popcorn! yum! Cool idea! It really sounds good! It is not only delicious but good for you, too. Great ideas, and money-saving and able to be tailored to your tastes too–just like cooking at home is meant to be! Most of those purchased bouillion cubes are dreadful and all salt and chemicals, and so much money for what they are–thanks for the idea. You bet! Same for those little packets that come with ramen noodles. The veggie broth—easy to make and store—is a huge improvement for both taste and health. mostly following a plant based diet…that is my goal this year. Having a hard time giving up dairy. And eggs. I don’t miss meat at all. Onward, ho! I don’t eat broth and soup very often (strangely, I find it indigestible) but Richard makes soup for himself all the time. I know he doesn’t use nutritional yeast (I’ve never heard of it before! 😮 ) so I’ll suggest it to him. Good luck with giving up dairy and eggs – I don’t think I could! Well, we are not yet at the point of giving up dairy and eggs. We’re reducing, but we might never get down to zero. We’ll see. This sounds like a tip I can implement into my life. Thank you!